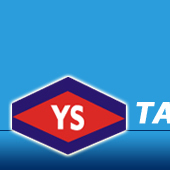 Yuen-Sun is a professional leading aluminum extrusion press manufacturer in Taiwan for over 20 years experiences. We are specializing in aluminum extrusion press, sawing machines, aluminum billet furnace, automatic handling system. Our products are including aluminum extrusion press, extrusion press automatic puller, extrusion press stretcher, extrusion press hot log shear, finished product saw, aluminum billet saw, flat transfer & belt type automatic handling system and more. We have been devoting continuously to aluminum industry with assurance of high quality, the best service and consummate skill for carrying out automatic operation. We hope all of our customers will benefit from our products.